Genetic modification (GM) has been on the radar for quite a few years – another really important issue that has been misrepresented and misinterpreted for too long to maintain any sort of clarity in the general public’s consciousness. The problems with GM (of crops or animals) are numerous and fall into three main categories, ethical, ecological and social…although it’s pretty hard to separate the three when discussing any given GM scenario. Superweeds, superbugs (of both the insect and viral variety), reduced crop diversity, genetic pollution of non-GM organisms outside the GM field, increased suicides and legal intimidation in farming communities around the world, the infamous ‘revolving door’ between Big Biotech and US government agencies, claims that US embassies strategically planned to ‘penalise’ countries that opposed GM….take your pick and try and pinpoint one single dilemma therein, that is not somehow linked to another. Yet all too often, the arguments for or against GM focus doggedly on one specific element, without considering how complex the whole subject really is. Aside from the ethical quandary of humans trying to control Nature and natural processes, and the social repercussions of Big Biotech/Government trying to control the diet and lifestyle of people all over the world, there are plenty of ecological possibilities that make GM bad news. Some of them, like the triffidesque superweeds, have already come to fruition. Others will happen, but still aren’t considered important enough for laws to be changed – like the loss of crop diversity that will occur once reductionist GM agriculture has become the global normality. Other problems are not so cut-and-dry, like the potential health risks (for humans or other animals) from eating GM food. If we refrain from leaping to the extreme Heaven/Hell alternatives that humans tend to focus on, it is perfectly rational, considering what we already know, to accept that eating GM food consistently (which is what Big Biotech is aiming for) could affect our health in the long run. Here’s something to ponder. In 1996, Pioneer Hi-Bred International funded research to test the allergenic potential of a transgenic soybean they had modified with proteins from Brazil nut to increase nutritional quality. The study found that an allergen from the nut was transferred across to the soybean, along with the ‘beneficial’ genes – this was the previously-unidentified major Brazil nut allergen, “Ber e 1“. The company was only developing the product for animal feed, but they abandoned it, because of this research…kudos to Pioneer. Aside from the lack of scientific information on the potential for unwanted allergens (or even more toxic components) to manifest in GM foods, such ‘quick-fix’ food solutions simply ignore the biological complexity and long-term commitment involved in treating nutritional deficiency and poor diet. Unbalancing your body’s vitamin/mineral/nutrient proportions (which are highly-complex and interconnected) by the naive use of health supplements and pills has long been warned against by doctors…so how will ‘supplementation’ via GM foods affect our overall health balance in the long-term? Will these foods just create more nutrient imbalances, which then need to be ‘fixed’ with another GM food? And it’s not just the genetic structure of our food that could cause problems, we also need to consider how reducing the genetic diversity of food will affect our health. Bread wheat was grown and eaten for over a century before we discovered the effects of the dodgy peptides. Yet the first genetically-fiddled-with crops were produced commercially less than 20 years ago, and are now being pushed as the One variety to grow, harvest and eat the world over. Should we just eat the GM food put on our plate, “trust” Big Biotech and not complain? Should we support the loss of hundreds of thousands plant and animal varieties, with all their amazing diversity of taste, form, colour, nutritional quality and environmental resistance, in favour of a few artificially-created species that “may or may not contain real food”? Or should we take a lesson from the history book, and apply the knowledge from all our other experiences, which shows diversity, in any system, is more salubrious than homogeny? Previous Article Ecology vs Math: do we need to pick sides? I’m a bit reluctant to comment because you clearly know more on the topic than I do. Nevertheless, we have to produce more food on less agricultural land if we hope to conserve biodiversity and produce enough calories to support ourselves. I don’t know what this means for GMO specifically, though. We have to thak note that GMO is spectrum of various shades of grey. While we certainly can’t compare a cow to some of the high tech gene-shuffling going on, it is important to realise that cows (or any agricultural stock or crops) are not “natural”. They are the result of thousands of years of concerted breeding (one might argue that this is also a form of genetic modification). Is it unethical, then, to accelerate what we have already been doing for centuries? I think it is unwise to dismiss ALL GMO (but at the same time I don’t think it should be a free-for-all). I am even more iffy on my opinion of the monopolisation of agriculture. On the one hand, it is easier to influence and change a handful of companies to switch to more sustainable methods (Check out this talk by WWF’s Jason Clay: http://www.ted.com/talks/jason_clay_how_big_brands_can_save_biodiversity.html). But on the other hand, there are signs that the big biochemical monoliths don’t care about anything other than profits (big shocker!). More importantly, these companies are sucking in farmers who become dependent on the biotech companies because the cultivars are only compatible with the artificial pollination/ fertilisers/ herbicides/ pesticides produced by the same company (and their newest products are no longer compatible with the previous ones, forcing farmers to constantly buy the latest stuff). It’s a bit of a mess. Thanks for the great comment, and yes, it is a bit of a messy topic and an ethical nightmare! I was a bit reluctant to post it, but I do feel strongly about the issue. I think GM and intensive agriculture are technically 2 separate issues (although a lot of intensive ag producers do use GM crops, it’s not a ‘requirement’ of an intensive farm). A lot of people raise that argument, about most of the modern ag crops/livestock being ‘GM’ because we’ve bred them for certain traits over the centuries – I had originally started writing about that in this post, but it just got way too complicated and confusing! I actually don’t believe that’s a fair argument, because the ‘selective breeding’ we’ve supposedly done for ag breeds, took centuries, at the start was often accidental or unintentional, and it was a slow evolutionary process occurring in the context of natural environmental conditions, and also alongside the evolution of human lifestyle, needs and immunities – so to compare a breed that has arisen under those conditions to an artifically-created breed from a laboratory, that hasn’t yet proven itself in the environment (or living alongside humans) isn’t quite justified. Also, these ag breeds or landraces are numerous (in the hundreds of thousands), and each one has evolved (or been ‘selectively bred’ if you’d rather) in its native region, to suit the environmental conditions of that area. GM aims to create just a few varieties, and have them grown everywhere – which is not ecological good sense in anyone’s book! As for the land sharing/land sparing issue, I’m still reading into this, but again it seems to come back to profit. I don’t believe intensive ag is the right way to go at all, and many studies/arguments that say it will work have been aimed at showing that profits and yields will still be good under the proposed models (which they will, of course). But there are also a lot of other studies (as well as historical experience that we choose to ignore!) that have shown intensive ag is NOT good, and these have focused on aspects of biodiversity and ecosystem health, rather than profits and crop yields. I think it’s fairly-established that intensive ag is not good for health of people, animals, plants or the environment in general, but as long as we keep the focus of human civilisation on profits, yields, economies and ‘more-more-more’, those ecological impacts won’t be considered important enough to change our habits. Realistically, I think that GM foods are going to provide much of our diet in future years. Food production is a huge problem, and this seems a solution. Ethically and morally, I don’t agree with GM crops. Just my personal opinion – playing God, the usual arguments, I guess. I just don’t think that messing around with genetics in the long term is going to be as fine and dandy as people may think. Plus, I have a number of food intolerances now, so god knows what GM foods will do to me and others with intolerances to certain things. And there is nature is well – unless they make GM crops sterile, there are going to be problems with cross-pollination between wild and cultivated crops (I know there is now, to some point), but what will altered genes mean to our wild plantlife? However, only time will really tell if there will be any negative effects, to both humans and our wildlife. But it’s already happening and it is pretty disconcerting for the future. Not enough ‘decision-makers’ seem to respect the Precautionary Principle (which isn’t really a ‘principle’ so much as basic common sense)! I haven’t read it all but it seems filled with vague political platitudes. But it sounds promising…the FAO has always been really good with promoting and encouraging agrobiodiversity, and it’s great that they’re focusing on the link to nutrition too – although I do hope they are referring to nutrition from non-GM ‘biodiversity’! There’s a certain irony in the fact that the EU is currently debating the outlawing of heirloom seeds unless they are ‘registered’ and meet the standards appropriate for commercially grown crops. If passed, it will be illegal to buy, trade or even give such heirloom seeds to friends and family. Biodiversity anyone? Yes, I was interested to hear that story, although it hasn’t been covered much in the news so far. I’ve only glanced over the draft legislation and read a few comments, and the main purpose of the law still seems unclear. The language they use sounds like it could be allowing for more GM seeds to hit the market, but only time will tell. It does say that small quantities of traditional seeds will be allowed to be sold without registration, whatever that means. I’ll be interested to see how they justify the action if it goes ahead! I’m no legal expert but I simply can’t see how you would enforce such a law at the gardener level. Are they going to get neighbours to dob each other in? However I believe the main thrust of the legislation is to stymie organizations that collect heirloom seeds – such as seed savers. Here in Australia we have a company called Diggers and they sell both conventional and heirloom seeds to the public. The sale of seeds and plants funds the sourcing of more seeds, as well as ensuring that the heirloom varieties continue to be grown in a lot of difference places. Safety in distribution. Such companies that are not currently controlled in any way would face either financial ruin due to the cost of initial registration and on-going registration, and the inability to on-sell heirloom seeds. Once these companies go out of business, individual gardeners will have nowhere to source their heirloom seeds and eventually they will die out. I believe this is another prong to Monsanto’s long term goal to control all aspects of food production. Yes, I don’t know that they could police it at the gardener level! 🙂 Which gives all the more reason for local communtiies to save and share seeds as much as they can now! Diggers are great! 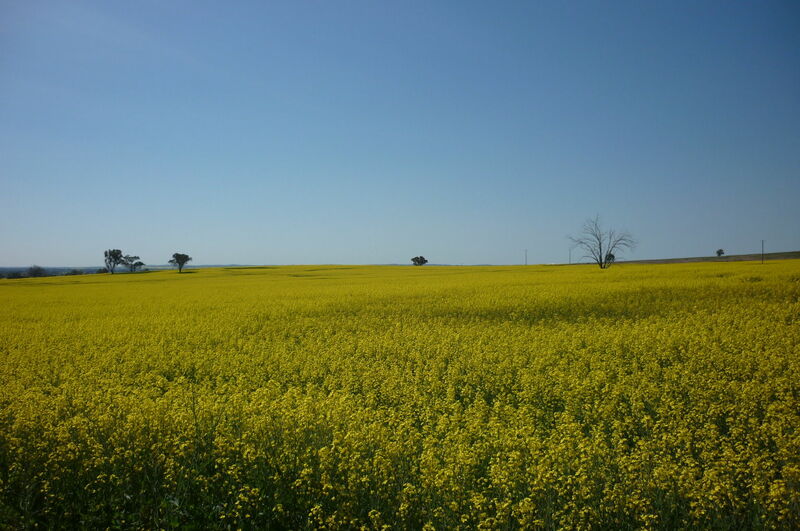 we also buy from Eden Seeds in southern Qld, which is a similar deal – they also encourage their customers to save some seeds and send them back to them so they can maintain the stock. I’m going to make a concerted effort to grow just heirlooms from now on! Great post. I didn’t know anything about that peptide in wheat. I wonder what will happen to its allergenic properties if/when GM wheat is produced commercially. To be honest I can’t think of a single real ‘benefit’ to consumers from GM research applied to food. But then that was never the issue was it? And yet we still buy. 😦 Makes you wonder about our collective intelligence doesn’t it? argylesock says… Here are intelligent words about genetic modification (GM, aka genetic engineering, GE), It doesn’t lend itself to soundbites but here’s one: GM is complicated. I’m still trying to keep an open mind. I totally agree, GM has so many faults with it that the only major ”advantage” is some rich guys making even more cash. To me, that’s really not worth the ecological and social costs, or the ethical dodgyness of the whole thing. To me it’s a classic example of naive and arrogant humans thinking ”oh, we’re so smart. If we tweak around with these genes, we can obviously improve on millions of years of evolution”. Also, a have a quote somewhere of a GM scientist admitting that ”GM will not feed the world”. Thanks Tegan, I agree. Another example of humans thinking we’re better than Nature 🙂 GM can’t and won’t feed the world, only local food systems based on regional crop and food diversity can do that – it’s disappointing that the industry has managed to mislead everyone so long. I couldn’t agree more. In terms of the public confusion, sparking intelligent discussion like you’re doing with this post is the only way forward. Think of it as public service! I’ve re-blogged by the way. Thank you! It’s so important for people, especially the non-scientific public, to keep informed and aware of these issues – if we really care about the Earth, we can’t just put it in the too-hard basket! Here’s an intelligent introduction to the genetically modified food debate. This is just a long form expression of the word “agriculture”. ALL agricultre is humans controlling natural processes. The ethical quandry is not in humans harvesting from nature and finding mechanisms to increase yealds, rather the quandry is doing so sustainably. There is no “natural age” for humans to go back to because manipulating nature is something we have done for scores of thousands of years. Since the industrial revolution our harmful impacts have grown with a dramatic and accelerating pace. Industralism tied to market economics poses a threat to our very survival. But it is not “control of nature and natural processes” that is the threat. The threat is industralism without caution to conserve the social commons of potential environmental inputs [our surrounding environs and eco systems]. Well yes I guess so. It is also perfectly rational, considering what we already know, to accept that eating GM food consistently could have no significant adverse affect on our health in the long run. On the one hand I commend you for taking on Golden Rice because it is the pet favourite of the pro GM lobby. On the other hand the red flag you raise about Golden Rice is wrong in two different ways. Firstly daffodils are not a food crop. The allergy pathway is pollen. Breathed in it causes the relatively benign allergic reaction, hayfever. This has nothing to do with rice and I find it extraordinary that this was not apparent to you when writing your piece. Secondly even if daffodil was served in salad and a minoity of people got anaphylaxis from eating it, this still has nothing to do with Golden Rice. Where the genes that code betacarotene come from is irrelevant. It could be daffodils or carrots. Unlike the brazil nuts where genes encoding proteins associated with allergies were transfered, with the daffodils none of the allergy-ness can relocate via transgenics. So you effort to asign food danger to Golden Rice has failed. So is Golden Rice a “quick fix”, assuming a perjorative use of that phrase? The answer is yes and no. Compared to a readjustment of the political and social order that abolishes poverty and provides everyone with a good variety of nutrituous foods… it is a quick fix. But compared to the current programs to give vitamin A suppliments to the poor across the globe Golden Rice is a big step forward. It is a stride away from the quick fix we have now and toward something more lasting and longterm. Golden Rice provides a limited but longterm solution to scurge of blindness and death that results from vitamin A deficiency in the Third World. It is not as beneficial as socialism would be. But it’s a false dichotomy to counterpose the two. This is the political dimension of GM and it is important to consider. GM poses potential benefits and potential risks. Indeed, a spectrum of possible good and bad outcomes. There are many and varied possibilities such that it does not make sense to rope them all together and characterise GMO as if it is one thing. In that way GMO is not comparable with fracking on prime industrial land. An all or nothing position on GMO is more like an all or nothing position on crop irrigation (far from a perfect analogy, sure, but closer to the truth of the matter as an analogy than fracking is). Crop irrigation can be disasterous and it can be benign and beneficial. It depends on the circumstances. Because of the potential benefits – some of which my own investigation into this matter leads me to believe can be enormous – I would like to see GMO proceeded with with caution. What is appropriate caution is a complex political question. The view that GMO is a Pandora’s box that must be clamped shut to prevent any bad coming out is one I disagree with. I think we need a case by case approach to genetic modification. I remain open minded to threats as well as benefits.